Metrix Electronics has a full range of DIN Rail power supplies with a power output from 75W to 480W used in industrial automation systems available to buy online today. Please use the advanced filters below to select meters for your application then click the product links for full technical information and buying details. Or call us on 01256 885940 if there's anything else you need to know. 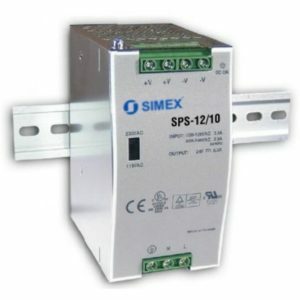 The Simex SPS-12/10 is a single output industrial DIN rail power supply 12V / 10A / 120W. 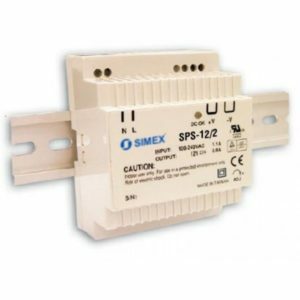 The Simex SPS-12/2 is a single output industrial DIN rail power supply 12V / 2A / 24W. 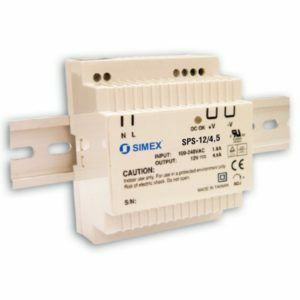 The Simex SPS-12/3,5 is a single output industrial DIN rail power supply 12V / 3,5A / 42W. 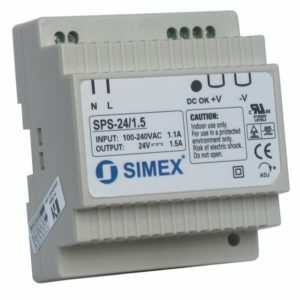 The Simex SPS-12/4,5 is a single output industrial DIN rail power supply 12V / 4,5A / 54W. 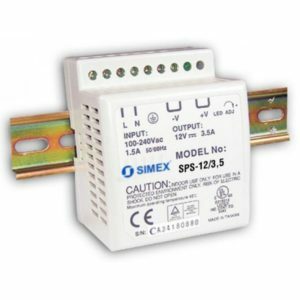 The Simex SPS-12/6,3 is a single output industrial DIN rail power supply 12V / 6,3A / 76W. 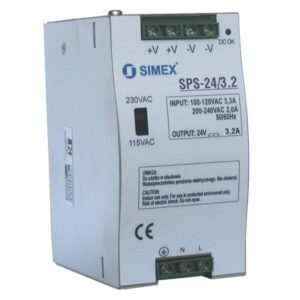 The Simex SPS-24/1,5 is a 30W Single Output Industrial DIN Rail Power Supply. 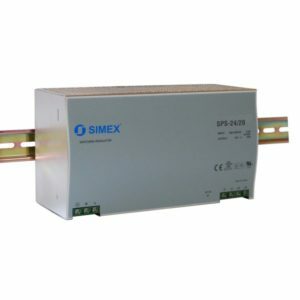 The Simex SPS-24/10 is a 240W Single output industrial DIN rail power supply. The Simex SPS-24/2,5 is a 60W Single Output Industrial DIN Rail Power Supply. 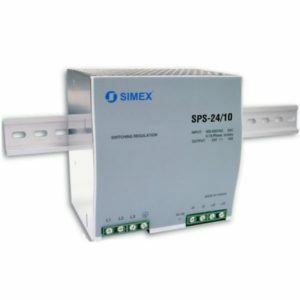 The Simex SPS-24/20 is a 480W Single Output Industrial DIN Rail Power Supply. 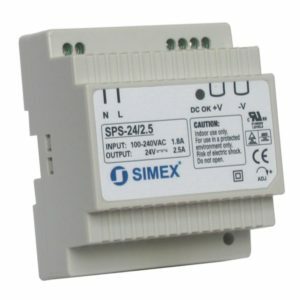 The Simex SPS-24/3,2 is a 76W Single Output Industrial DIN Rail Power Supply. 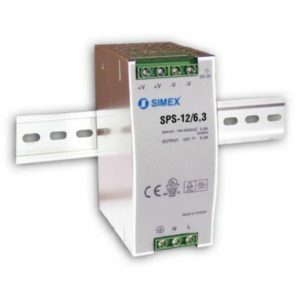 The Simex SPS-24/5 is a 120W Single Output Industrial DIN Rail Power Supply. 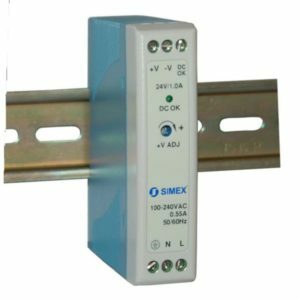 The Simex SPX-24/1 is a 24W Din Rail ultra narrow power supplies.